For practical purposes, the lawyers are the law. 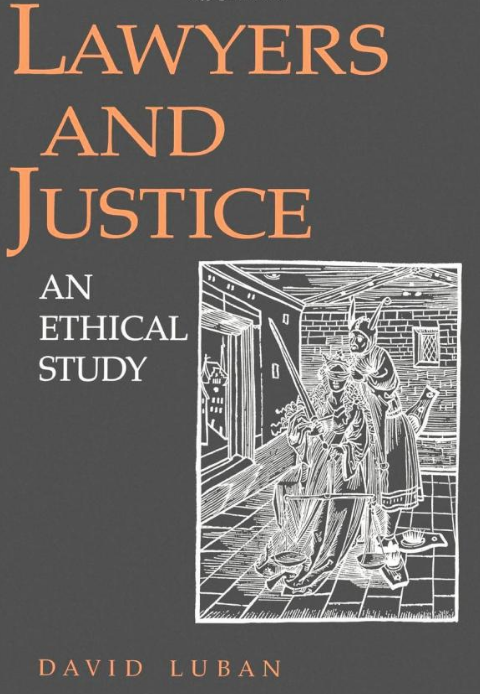 In this comprehensive study of legal ethics, Luban examines the conflict between common morality and the lawyer’s “role morality” under the adversary system and how this conflict becomes a social and political problem for a community. Using real examples and drawing extensively on case law, he develops a systematic philosophical treatment of the problem of role morality in legal practice. He then applies the argument to the problem of confidentiality, outlines an affordable system of legal services for the poor, and provides an in-depth philosophical treatment of ethical problems in public interest law.